Indie Retro News: The Legend of Sinbad - Superior Software's 1986 C64 game gets a new crack and trainer! The Legend of Sinbad - Superior Software's 1986 C64 game gets a new crack and trainer! Hokuto Force have created a new cracked version with inclusive trainer of Superior Software's 1986 The Legend of Sinbad for the C64. New features include a brand new "cracktro", and training modes which allow infinite lives, infinite time, removal of collisions from the green doors on level 1 and a much easier dragon boss level. 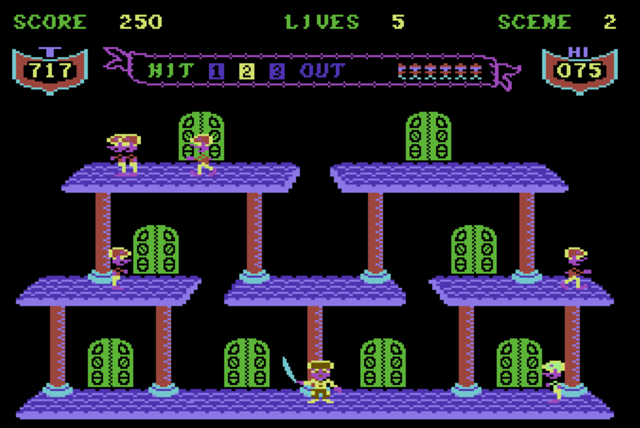 The game begins with Sinbad the Sailor trying to escape Sultan Salabin's dungeon and recover his treasures. You'll then have to escape the guards, help some camels, and finally defeat Salabin himself. 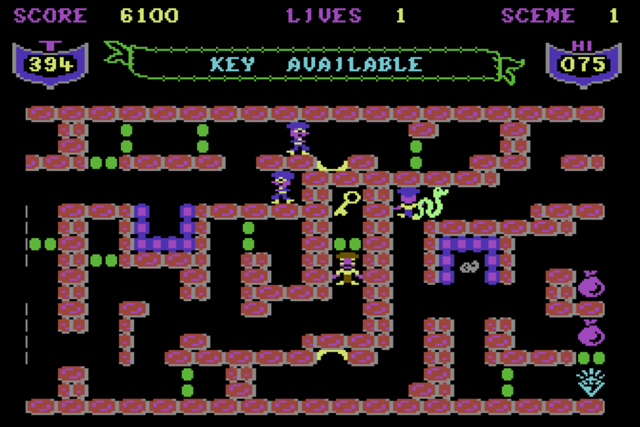 Escaping level 1 is achieved by collecting two keys, each of which is locked behind impassable walls. You'll need to also capture 8 treasures to reach the keys, as you are chased through the maze by a variety of enemies. Thankfully you can shoot them horizontally if they're on the same corridor. There are also 4 different types of games spread throughout the 5 levels, and you can use a password to skip levels already completed. 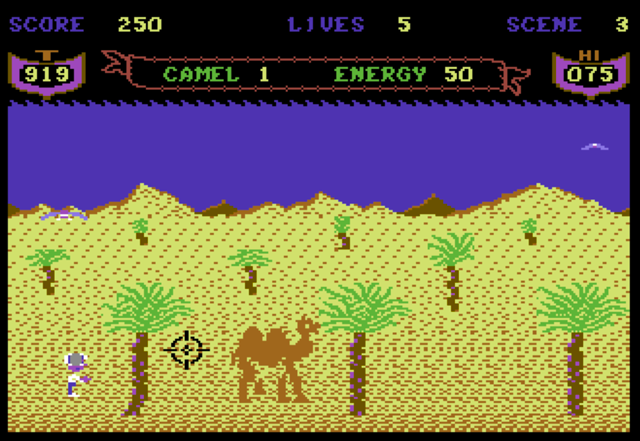 This game is frustratingly difficult, mainly due to the precise timing required to either pass through the green gates on level 1, or shoot the speedy magic animals attacking your camels in the operation wolf style level 3. Combined with the strict time limits, this will stretch your gaming skills to the limits. Overall this is a tough but addictive adventure.